ALCOLOCK is committed to offering top-quality products that we develop ourselves. We aren’t satisfied with offering a single device or reselling an existing line of products. Instead, we are committed to immersing ourselves in the industry. Over the years, we’ve established a reputation for being experts in our field. We’ve stayed at the top of the industry by developing a wide range of high-quality products that span the entire gamut, from lab equipment to devices that aid program facilitators to the breathalyzers and products the consumer uses throughout their program. The ALERT J4X is one of the quality products we offer to help make the road to license reinstatement and independence as easy as possible. 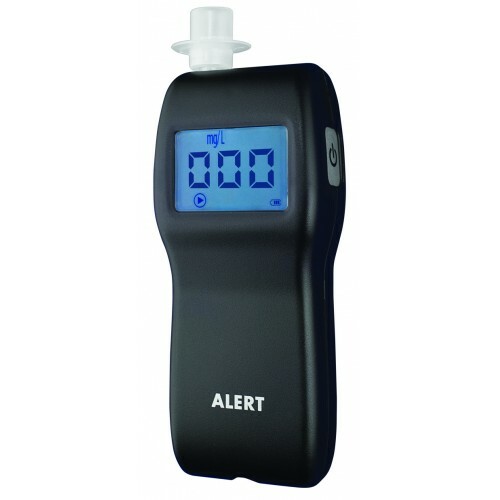 The ALERT J4X is a professional breathalyzer trusted by law enforcement professionals across the world. The device uses fuel cell sensor technology to ensure that every test you administer returns accurate results in a short amount of time. The ALERT J4X operates by pressing a single button, meaning you get your Breath Alcohol Content (BrAC) results quickly and easily. What’s more, every device comes with a starter set of the accessories you need to get started. Volume purchasing options are available for agencies and departments, as well, should you need more than one device. The ALERT J4X comes with everything you need to get started right away. Each device comes with a kit including the device, two AA batteries, a DC adapter, 5 mouthpieces, an instruction manual, and a durable carrying case. Law enforcement professionals worldwide have come to love the J4X for a variety of reasons. Here are just some of the benefits you can expect when you purchase the ALERT J4X breathalyzer. ALCOLOCK’s ALERT J4X is just one of the many high-quality products and services we offer. Are you a driver looking for ways to more efficiently complete your program? Maybe you’re a service provider seeking to expand upon your existing line of product offerings to better serve your client base. No matter who you are, if you’re involved in the license reinstatement and ignition interlock process, we have many options that can help you reach your goals. Check out our shop for more outstanding products and services developed to help you succeed. mouthpieces, instruction guide and a durable carry case. Saves you time with results available within 30 seconds.